This course will provide training in all primary stage National Curriculum subjects, with a particular focus on the core subjects of English, mathematics and science. You will explore established educational theories alongside new ideas, concepts and developments in the field of education. Rigorous academic study on campus will be complemented by a range of practical teaching experiences to really enhance your professional development. On campus, you will be supported by expert tutors who will help to refine your subject knowledge and teaching practice. Working in schools, you will be supported by school-based mentors and experienced teachers as you put your learning into practice and really hone your teaching skills. You can choose from two different training models. 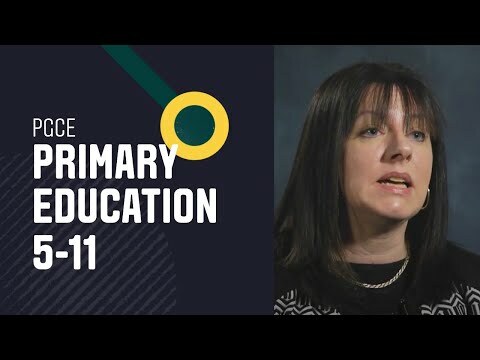 School Direct: For the vast majority of your course, you will be based in your alliance school or schools, learning on the job while being supported by experienced teachers and mentors. You will attend university at Headingley Campus for key seminars on subject knowledge and teaching for your chosen age range, with additional sessions for three masters modules. University sessions will take place in the autumn term and will reduce as a greater amount of your time is spent in school. We have more than 100 years' experience of teacher training and you'll be supported by an experienced course team determined to see you flourish as an innovative primary school teacher. You will become part of a supportive teaching and learning community, where you will be able to pick up advice and tips from your course tutors and share ideas on lesson plans and classroom experiences with your fellow students. To help with your preparations for your course, you will have the opportunity to attend an outdoor experience during induction, where you will meet your tutors and fellow trainees, start to develop your support networks and discover how the outdoors can be used to inspire your teaching. Applicants should have at least a 2:1 honours degree, or a 2:2 honours degree plus evidence of wider experience in a UK school or foundation setting relevant to Primary education. We usually require evidence of experience working with children of different ages within the 5-11 age-range. Preferably this would be across KS1 and KS2 in a UK Primary School / setting and would equate to about 10-15 days in total. In addition, we value experience of working with children in contexts other than school and will take these into consideration. It is preferable that one of the two Referees on your UTT form is from a school-based setting which confirms the time you have spent in the classroom and comments on the contribution you have made; or, which comments on your experience of working with children in contexts other than the primary classroom. This is to gauge candidates' suitability to teach..
Practical sessions on wood working, physical education, drama and science allowed me to create lesson plans to use in my own classroom. We could mimic the real classroom environment down to the smallest detail so by the time I actually delivered lessons on my placement, I felt really comfortable. In meeting the requirements for Qualified Teacher Status, this course will give you the skills and knowledge needed to work as a qualified primary school teacher and will bring out the best in you as an educator.